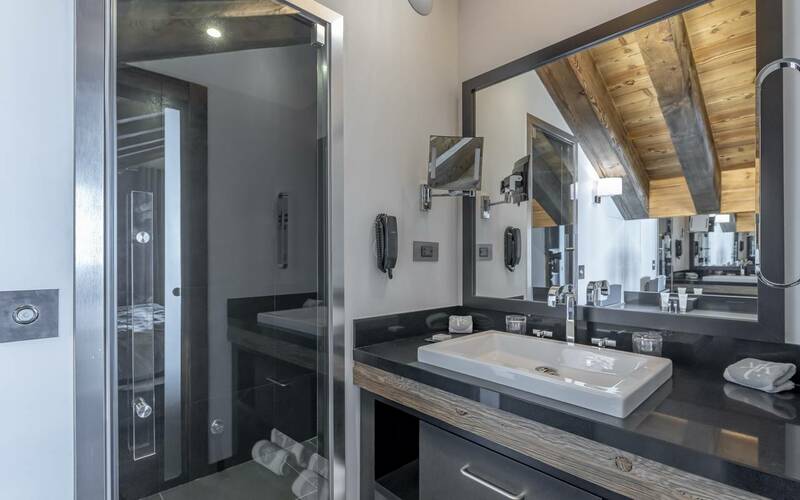 95 m² / 4 pers. 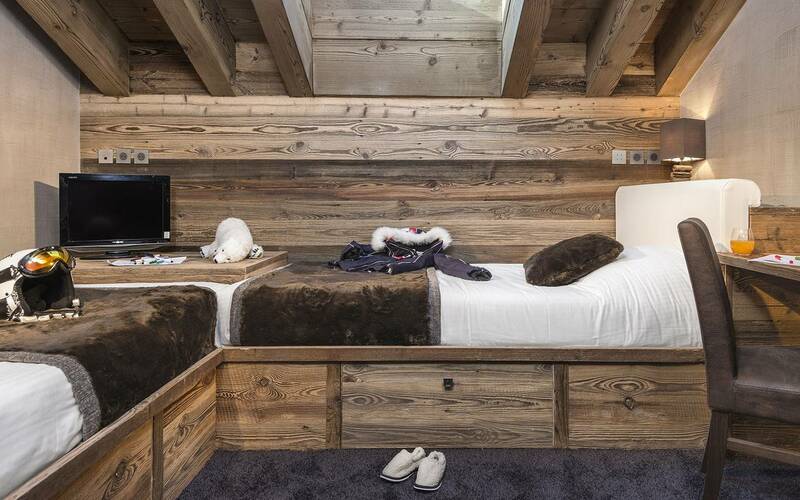 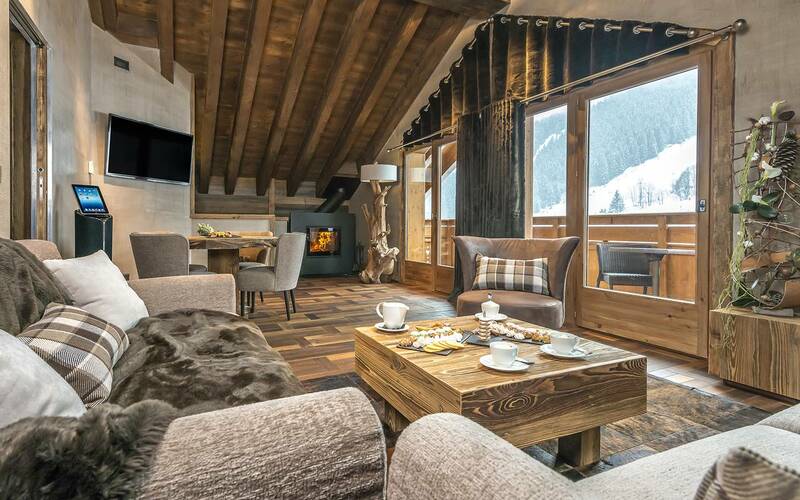 A Family Suite as a Duplex, located on the fifth floor of the hotel offering a view over the Meribel estate. 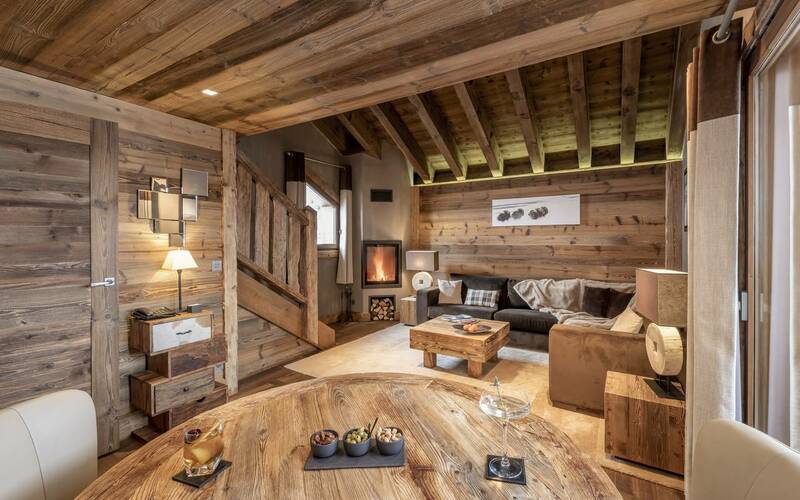 On the ground floor: An inviting living room with a lounge, fireplace, dining room and separate dressing room. 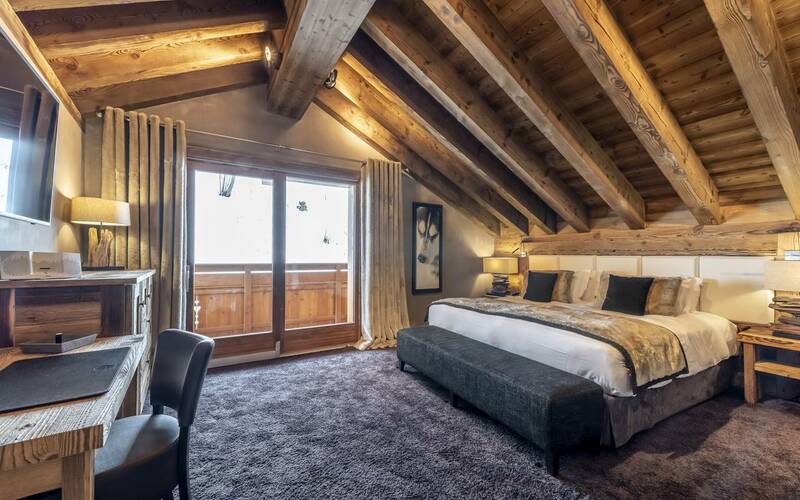 On the upper level: A master bedroom with exposed beams and a dressing room and en-suite shower room (steam shower). 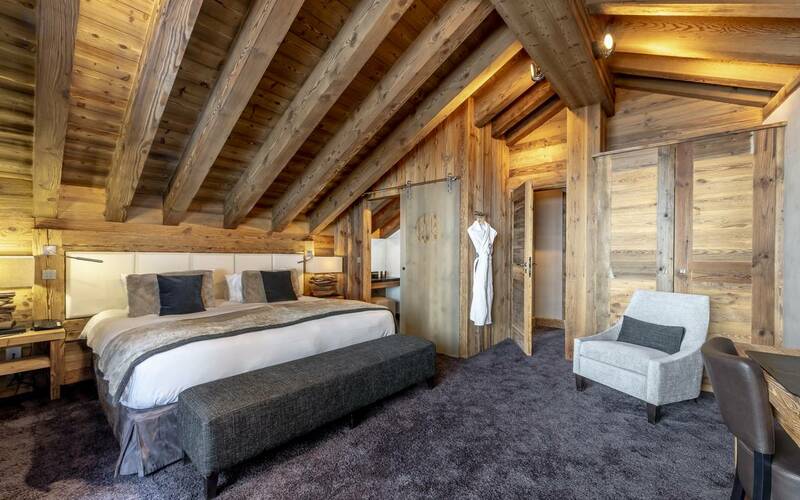 A second bedroom with two single beds and an en-suite bathroom with natural light offering a bath and TV.